It’s always thrilling when a popular new project gets off to a flying start on Spacehive and Peckham Coal Line has done just that. The ambitious project, which wants to turn a disused railway line into an elevated urban park, has already attracted over 100 backers and hit 10% of its target in its first week of crowdfunding! The project, instigated by local residents, will link the communities of Peckham’s Rye Lane and Queens Road with a spectacular new social space that celebrates the area’s industrial history. The group behind the project recently met and took inspiration from veteran Spacehivers Friends of the Flyover – a group in Liverpool who want to transform a city centre concrete flyover into a vibrant green civic space. 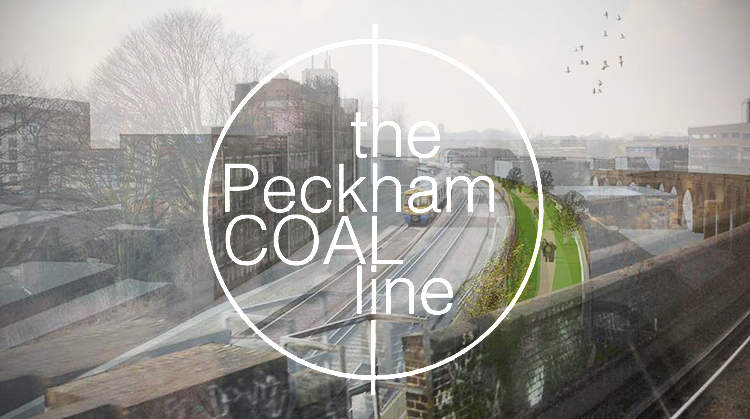 With comparisons being made to New York City’s High Line, and pledges rolling in thick and fast, Peckham Coal Line is certainly one of the many exciting projects to keep an eye on in the Mayor of London’s hive! We turned Boris Johnson into a crowdfunder! Spacehive and the Mayor of London are thrilled that a whopping 87 awesome projects applied to the Mayor’s High Street Fund. From community gardens that offer space to grow your own veg to tea rooms with a vintage twist, and the Peckham Coal Line, the Mayor of London’s hive is an incubator for creative ideas to transform the Capital’s high streets. And over the next month Boris will be dishing out juicy pledges of up to £20,000 to the best projects… We can’t wait to see what he backs! If you’ve got a pot of match-funding to spend we can help you deliver your scheme with real community buy-in – find out more here or get in touch with our friendly team. We often shout about our awesome project creators but when we heard about one company’s plans to pledge to Spacehive projects from the proceeds of their clockmaking business, we thought it was, ahem, time to give a shout-out to one of our awesome pledgers! It’s important to us that our clocks are sold as more than just household products and that they really mean something to their new owner. Spacehive is the perfect outlet for us to support creative and wholesome projects that share the same enterprising spirit. Watch this space – next time you may be the lucky recipient of a Bramwell Brown pledge!